India has beaten Australia in the ICC World Cup 2011, Quarterfinals to move set up their semi-final clash with Pakistan. Most India fans (for that matter even Pakistan fans) will know that India has never lost to Pakistan in a World Cup as yet. I thought why not dig out some stats on how India and Pakistan players have performed against each others. 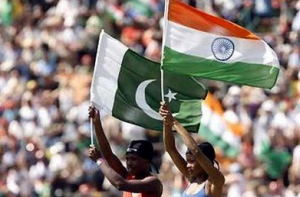 India and Pakistan have played 4 matches in World Cup history and India has won all four. Sachin Tendulkar, Javagal Srinath and Inzaman Ul Haq are the only players to have played in all the four games. Sachin Tendulkar will play the fifth time against Pakistan in World Cup tournament on 30th March 2011. The only match played in India during a World Cup was in 96, in Bangalore. That match was also a Quarter-Final and a knockout. check this link it may prove helpfull. but salman you should also notice this stats on worldcup..
India never lost any match against Pak in worldcup..
i know, that why as Salman says, one record is bound to be broken. The record has been breaked.India won the match against Pakistan match at Mohali in the world cup 2011. I hope tht I will not hv to write this after Sunday!! !